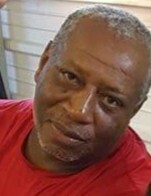 Mr. Michael Buie 63, of 111 McLean Street Red Springs, North Carolina passed away Monday January 21, 2019. Funeral Services is as follow: Viewing is Friday January 25, 2019 from 6-7 pm at L. E. Floyd Funeral Home 115 Buie Street, Red Springs, North Carolina. Homegoing Celebration will be held Saturday, January 26, 2019 at St. James AME Zion Church, 116 West Brown Street, Red Springs, North Carolina at 1 pm. Burial will follow in the Buie Private Cemetery.